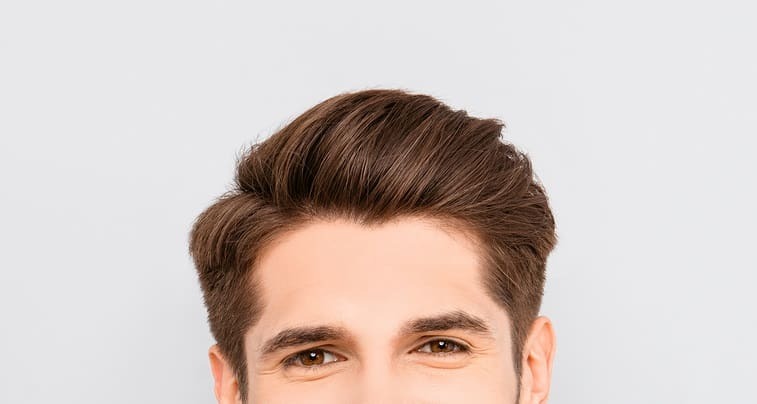 Most men use hair products to style their hair. You may be one of them. But are you aware on which one should you use? Are you sure you are doing the right procedure on how to apply those? Well, we have here some guide that you, guys, must know when styling your hair. 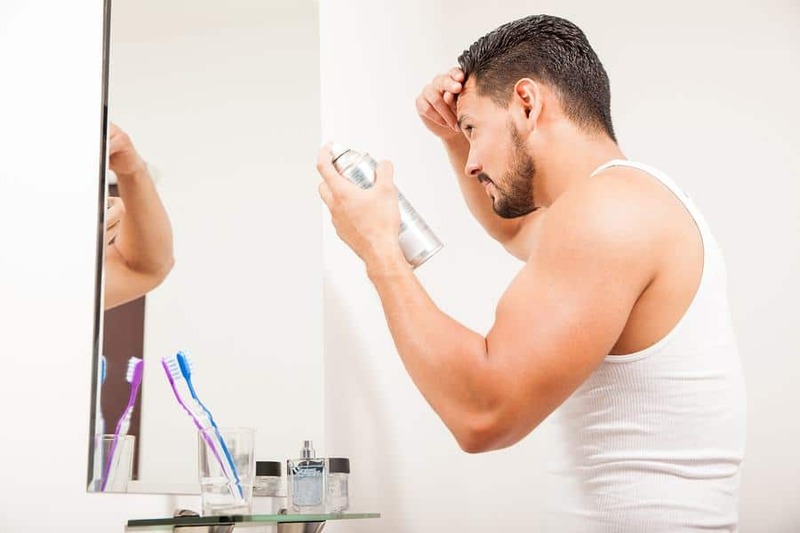 There are three categories of products that most men use on their hair. These are the hair wax, pomade and the styling cream. However, some of you are still confused on how or when or to whom to use these products. But don’t worry, we have come to distill these so you could see what one will suit the kind of hair you have. Read on to know which is best for your hair type. So, how to use hair wax? When your hair is straight or wavy, it is best that you use wax daily as this will make your hair look naturally styled. This is good also if you want a messy look on it. With wax, you can easily maintain your hair style until the end of the day. You only need to brush quickly or swoop with your fingers to fix it. The same with hair wax, this is best to use if you have straight or wavy hair. However, this one feels greasy or waxy so if you are using this, refrain from doing a lot of movements. Hair applied with pomade looks shinier than that with wax. This is the traditional product used when you want a glossy hair. If you are curly-haired, styling cream is recommended for you. This product will not hold your hair with the style that you prefer but it will give you a light shine hair. This will take control of the frizz so that it will be more manageable. As observed and experienced, there are some reasons why you should apply wax to your hair. These are discussed further to give you an idea. It is very easy to style your hair - Using different hairstyles will definitely give you different looks and expressions. So to achieve the look that you prefer, you can use hair wax to arrange them. You can try other looks - Applying wax on your hair will make it possible for you to change your style every day easily. You can rearrange it if you like. You as a unique person - You can stand around other guys with an exceptional style while discovering the new you. You will not lose the shape of your hair style - If you want to restyle your waxed hair, you can do so even if you will not wash or reapply the product. Just style as you desire if it will be ruined. Utilized by all hair lengths - Most significantly, you can use wax products with any length of hair you have. These are the whys and wherefores of applying wax on your hair. But then do you know the proper way on how to use hair wax? Do you think you can just pour on your hand then apply as you wish? Styling your hair the way you want it can help you boost your confidence. 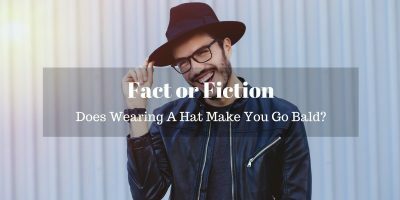 This is because you will feel comfortable especially if you are that kind of person who is very much conscious with your look. Well, there are proper ways on how to use hair wax in order to attain its promising benefits. Check out the following methods to learn more about applying hair wax. As a hair wax user, there are some basic things and ideas that we have prepared for you. For sure, these are helpful in your daily application of the product. To start with, allow us to guide you in purchasing the product. Choose the wax that has a low possibility of depositing residue on your hair. You can buy hair wax anywhere and even online so better compare their prices. Read also some comments regarding your choice before you go and buy as these will give you tips or idea on the product. Think about buying the natural one. There are some that are extracted from leaves. Although, others were made of petroleum. These kinds are colorless and are even odorless. After buying the product which you believe is best suited for your hair, we will now give you the proper steps on how to use hair wax. Using the fingertip of your index finger, scoop a small amount of hair wax. Just a fingertip amount at first then you can just add if needed. Rub the wax between your palms until they are fully spread and warmed. 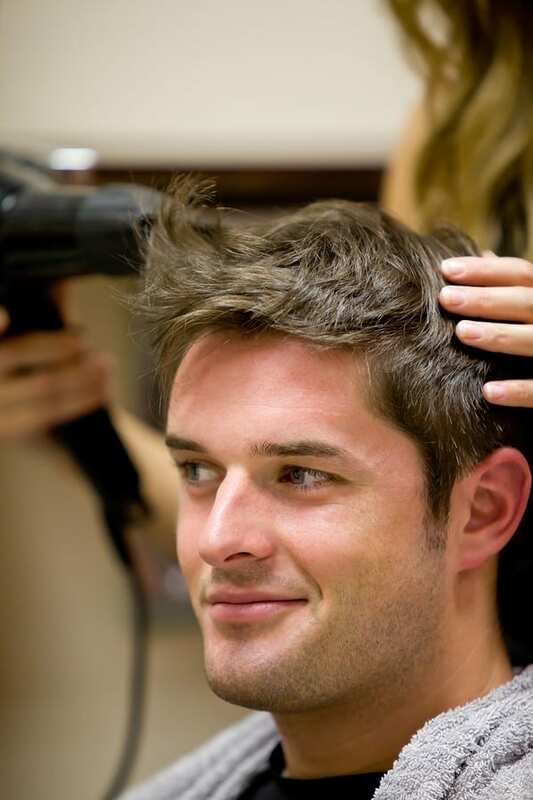 Coat your hair without letting the wax get into the scalp to avoid irritation. So, be sure to leave at least one-fourth (1/4th) of your hair length not waxed. Do not put too much amount of product because there are residues that might be left visible on your hair. Using your fingers, get through your hair and then do the style that you desire. You may add some amount of wax if you want. Then do again the same procedure. If there are some strands flying away, use a very small amount of the product and brush them on that area using your hands. Having familiarized yourself with the ways of applying hair wax, a question may occur to your mind. How many times we have to take a look at the hair of others wondering how they manage to keep their hair the way they want to? Attend to your hair needs with your precious time and follow these tips in order fix them. If you have a naturally straight hair that goes flat immediately after styling, this tip discussed is for you. With the wax spread onto your fingers, apply it slowly from the middle length of the hair to the outer part in an upward direction towards the hair tips. Just be careful of two things: Do not to over-apply and do not apply on the roots of the hair. There is no need to dampen your hair before applying hair wax. However, if you have just taken a bath or have just woken up and you want to dampen your hair before styling, do not forget to dry them totally. Then shape them into your preferred style with the aid of hair wax. It is the best advice to start with a very little amount of hair wax when applying it to your hair. It is an experience that if you will be applying large amount at once, your hair will become heavy and flat. You can just apply again and again with a very small amount. If needed, apply a little spray to hold your hair style and to prevent the hair from becoming flat. To start with, scoop a fingertip amount of wax. Rub and spread them between your palms until it is so thin and become colorless. Apply them now on your hair starting from the underside to the tip. Do not put too much wax immediately because it is hard to spread them evenly and which will make it hard for the wax and the hair to bond well. If wax cannot hold your hair style long enough, you can put on a hair spray to maintain the look that you have created. Having different hairstyles can give you different looks. And hair wax is of great help in doing these if you want a new impression on you. Styling tips for Bangs - Let your fingers separate the strands on your bangs. Then with the pea-sized amount of wax rubbed on your palm, brush them on the surface of your bangs. After which, you work with it. You can straighten them out, spike or even swoop them. Do as desired because the wax will keep your hair the way you have shaped them. Put emphasis on your layered haircut - Put a small amount of wax on your fingertips then use them to spin quickly and lightly unto the end of your hair. You may curl the tips if you want to look lively. Messy or “Undone” Looking Hair - Scatter an amount of wax all over your hair. Tousle them to look somewhat messy then twirl some hairs with your fingers to emphasize the strands. This will give your hair an “undone” look. Smooth and long-lasting curl - To structure your hairstyle, apply hair wax into the tips of your curly hair. This product will have the ability to hold your fashion longer. Curls applied with wax seem to be bouncier and softer. Thin Hair Volume - Spread a small amount of wax on your palms, onto the tip of your fingers and in the middle of it until it becomes colorless. After which, apply uniformly on the underside of your hairs. You need not apply it over and over again on the same part. When you are through waxing your hair, style them as you desire. Turning your hair into a brown-black look - Put wax on your fingers and then slide it from your scalp through the tip of your hair in order to give you a brown-black look. Go on shaping your hair until you get the look that you want. Have you seen men styling their facial hair? Do not just wonder if you can do this yourself. Go on. Try it too and you'll see, you will get the admirable outcome. This can enhance your looks. Hair wax can be used also on facial hair. Read the following to guide you through. Using brow brush, gently comb your eyebrows upward and in one direction. Afterwards, get a very small quantity of wax using the tip of your finger and spread them along your eyebrows. Using wax is perfect for a dark and thick brows especially those that grow easily. 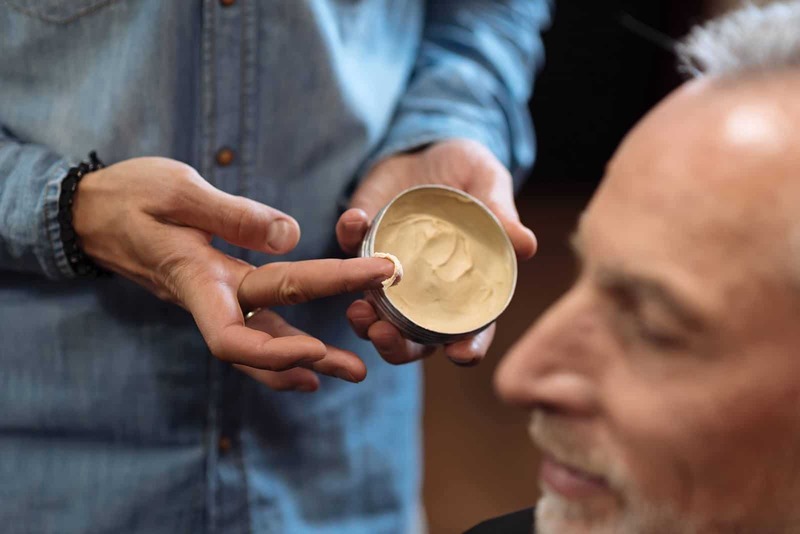 When styling your mustache, you can use either the common hair wax or the wax product that is specifically designed for it. To apply the product, get a small amount then rub it with your fingers until it is smooth and warm. Be sure that the wax will be free of clump before applying them. Do not twirl the tip of your mustache if you want that it will look natural. Just uses a comb intended for mustache, and then dry them using the blower. If you have a long mustache, then you need to apply an additional wax. You can work on it from there. You can curl until they hold or you can twist them into points. After applying hair wax, the last thing you do at the end of the day is to get them out from your hair. But then, depending on the type of wax that you have used, there are some methods to do this. Method 1 - If you have applied hard wax on your hair, you can remove this just by putting an ice on the waxed hair to harden it further. This will cause the wax to collapse and then will break loose from the pieces of your hair. Method 2 - For your hair that was applied with softer waxes, you have to put some oil on your hair so that the grasp of the wax will loosen. This first step in this method will loosen the wax to make it possible for the hair to be washed out. The second step is to wash them carefully using an agent that was designed for removing grease from the hair. A dish detergent can be used as this will dissolve the oil so it could be possible to remove and loosen the wax from your hair. If it is not yet removed, you can repeat this step for several times until the wax is gone and the hair is clean. After which, wash your hair with a regular shampoo then apply a conditioner that is appropriate for your hair. 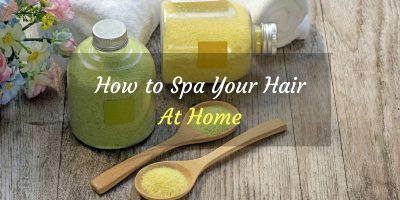 With these methods on how to use hair wax, you will be able to use it every time you apply such styling product on your hair because hair waxes will bind the oil to the hair which makes it hard to remove.